In 1830, the Baume family opened its first watchmaking outlet in the Swiss Jura. The aim of the Baume brothers, the Firm's founders, was to make high-quality traditional watches. In 1848, they opened their first workshop in London, named “Baume Brothers”. This business in Britain enabled them to export their timepieces throughout the British Empire, from India to Africa and Burma. In 1876, the Firm further specialised in complications – minute repeaters, calendars and tourbillons. In this way, at various Universal Expositions, it won ten Grand Prix awards and six gold medals. Meanwhile, Baume regularly passed the tests conducted by the Kew Observatory near London. At the dawn of the Belle Epoque in the 1920s, the third generation of the family – in the person of the young William Baume – decided to embark on a partnership with Paul Mercier, an international businessman. 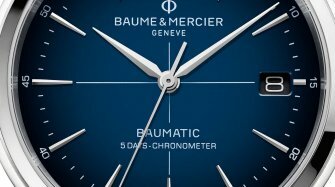 As a result, the Firm was renamed ‘Baume & Mercier'. The Manufacture of the same name was opened in Geneva and received “Geneva Seal” certification in 1919. In 1935, William Baume retired for health reasons, followed two years later by Paul Mercier. 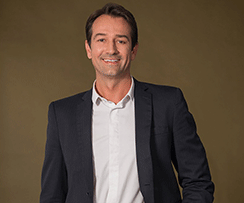 Two new names took over the management of the Manufacture: Count Constantin de Gorski and the Ponti family, Italian goldsmiths. Shortly after the Second World War in 1952, Baume & Mercier bought a new production site in Le Brassus, specifically to make its chronographs. 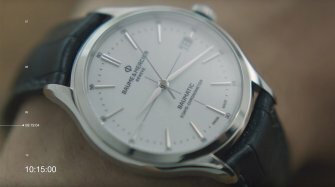 From 1971 onwards, with its ‘Tronosonic' model, Baume & Mercier became one of the first manufactures to adopt the new electronic tuning fork movements, the forerunners of quartz. Nine years later, Baume & Mercier became a part of what was to become the Richemont Group. Continuing its expansion, in 2002 the Firm opened new workshops in Les Brenets in the Jura. Faithful to tradition whilst also welcoming all the latest advances, it returned to ‘établissage', the production method used by the Baume brothers throughout the nineteenth century. The firm has thus continued its path with new models such as the Classima Executives, Diamant, and so on. 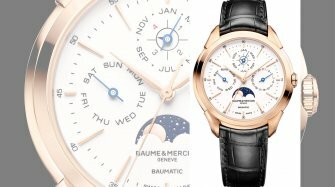 "Frères Baume" open their first watch business in the Swiss Jura. 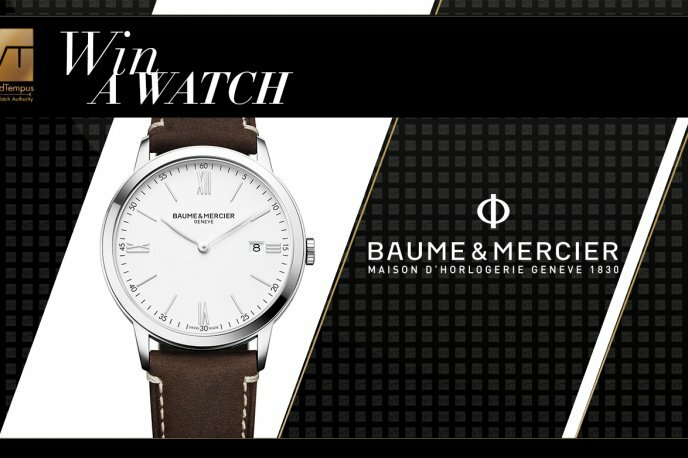 Partnership with Paul Mercier – Baume & Mercier Maison founded in Geneva. 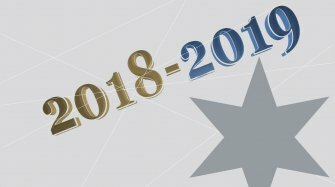 The Firm becomes a part of the future Richemont Group. Watchmaking workshops opened in Les Brenets in the Swiss Jura. “Life is about moments”: with this motto as its mission statement, Baume & Mercier expresses its desire to design timeless watches that can accompany an individual throughout the various stages of their life. Today, Baume & Mercier timepieces encapsulate the heritage of two centuries, embodied in affordable collections featuring meticulous design. 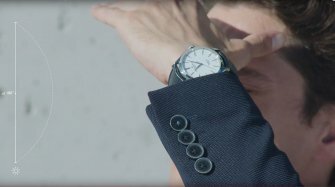 As the holder of unique knowhow, the Firm has also developed a partnership with the Institute of Swiss Watchmaking (IOSW), a horological training establishment present in a number of cities around the world. 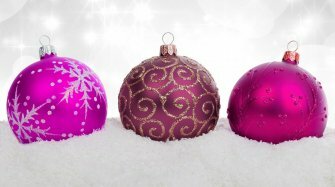 Authenticity and generosity are also cardinal values for the Firm. In this respect, it is committed to an impeccable code of conduct, as certified by the Responsible Jewellery Council (RJC). Combining authentic watchmaking expertise and the simple sophistication of a timeless design, the Classima collection remains faithful to its original vocation for classic, discreet elegance. 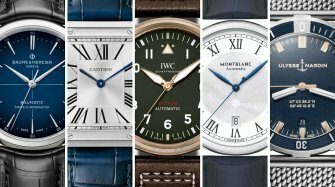 Featuring a variety of dials including some with the iconic line guilloché decor, these watches marry understated perfection with technical prowess. Classima watches are popular with those who consider subtle minimalism to be a mark of longevity. Embodying the Swiss watchmaking tradition and an elegant, urban spirit, the Clifton collection is both contemporary and iconic. Powered by Swiss-made mechanical movements renowned for their quality, this collection showcases Baume & Mercier's heritage of watchmaking expertise. It features a diverse range of models equipped with manual-winding or self-winding movements and different watch complications. Masculine and distinguished, Clifton timepieces appeal to demanding men looking to acquire a classic yet contemporary timepiece. The Clifton Club collection pays homage to “gentlesportsmen” with sports models designed to accompany urban, active and elegant men in every situation. Built for adventure and resolutely contemporary, it elegantly revisits sporting values while respecting traditional watchmaking codes. 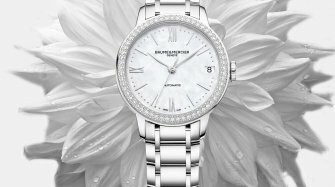 For the past century, Baume & Mercier has catered to women’s needs and wants. Such is the case with the iconic women’s Linea collection, introduced in 1987. The collection is now embracing both evocative beauty and technical prowess at the same time. A classic, precious watch conveying a strong emotional charge, Promesse is the recognisable descendant of a 1970s model from the Baume & Mercier museum collection. Decidedly different due to its unconventional shapes, Promesse features a design with a gentle aesthetic tempo, playing with an oval bezel nestled inside a soft, round case. Like many a watchmaker in Switzerland, the story of Baume et Mercier begins with a family - notably brothers Louis-Victor and Célestin Baume who set up their company, Frères Baume, in 1830. The focus was on perfection and quality, but also breaking codes, with Louis Victor Baume not only keen on watches for ladies but also expanding into more exotic locales such as Africa, Burma and New Zealand – plus a branch in London, United Kingdom, then a booming watch hub. By the 1920s, the Baume brothers’ labour of love would come into its modern nomenclature, as company director William Baume joined forces with Paul Mercier, establishing Baume et Mercier in Geneva in 1918. 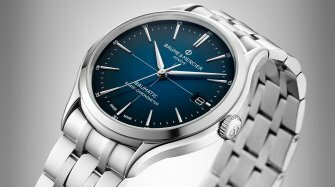 Swiss quality, luxury and affordability are the pillars of the Baume et Mercier brand today, with watches that fit modern men and ladies, from executives to the more athletically-inclined. The house has a superb range of chronograph watches for men in particular, such as the Clifton 10211, a sleek black-dial-on-black-strap item in steel, and featuring an automatic movement with day and date counters. Another notable chronograph is the eye-catching Baume et Mercier Clifton 10404 which pays tribute to the daring New Zealand motorcycle racer Burt Munro. The steel watch is powered by an automatic chronograph movement, with the most standout design item a prominent, large yellow number 35, Munro’s lucky digits, in the chronograph seconds counter. As far as the Baume et Mercier’s top luxury offering for men, that would be the £15,200 Capeland 10107, in red gold with an automatic movement and date function. Automatic movements also feature in the offerings for ladies - and which today should do the original Baume brothers proud (Louis Victor Baume was an avid fan of horology for ladies, having back in 1869 gifted his daughter Mélina a gold engraved pocket watch with the message “A notre chère enfant” [To our dear daughter]). There are luxury choices aplenty in either gold or steel, such as the charming, gold 33mm Swiss made Classima 10077 watch with an automatic movement; or the chic steel Linea 10036 with a wraparound leather stitched strap, an everyday item in feminine 27mm with a quartz movement. 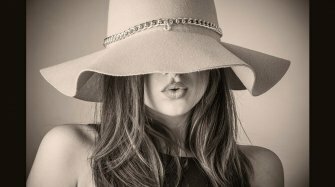 But the real stylish head-turner is the rectangular Hampton, another Swiss made item with a steel case on a choice of white-stitched brown calfskin leather or metal bracelet, both of which would be on-message for women executives. The Hampton 10051 also ups the luxury factor with its diamond and steel combo. 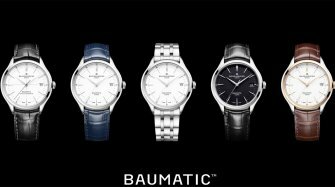 The big push for Baume et Mercier is the My Classima line, for both men and ladies. An ode to a 1940s archive piece, the luxury watch is about as classic as it comes, with Roman numerals, a Swiss quartz movement, steel case and date display at 3oclock. 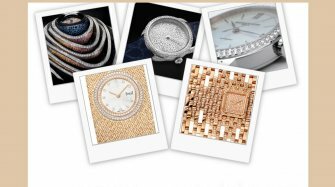 It’s a watch that will appeal to buyers whether treating oneself or as a gifting item to loved one to mark a special moment.